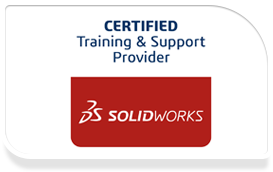 SOLIDWORKS Simulation Standard gives product designers an intuitive virtual testing environment for linear static, timebased motion, and high-cycle fatigue simulation. Designers and engineers can tackle common structural engineering challenges with the Static Study which assumes a linear elastic static formulation of elastic and linear materials, and that all loads and fixtures are static (no variation in time). 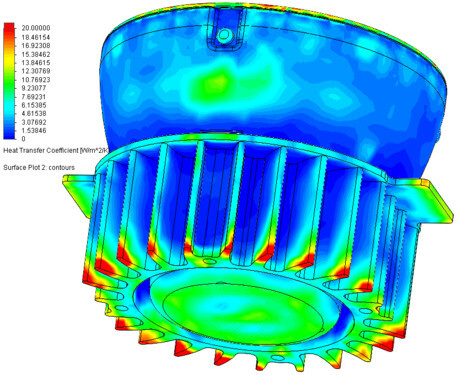 With these parameters, users can calculate component stresses, strains, FOS, and displacements. 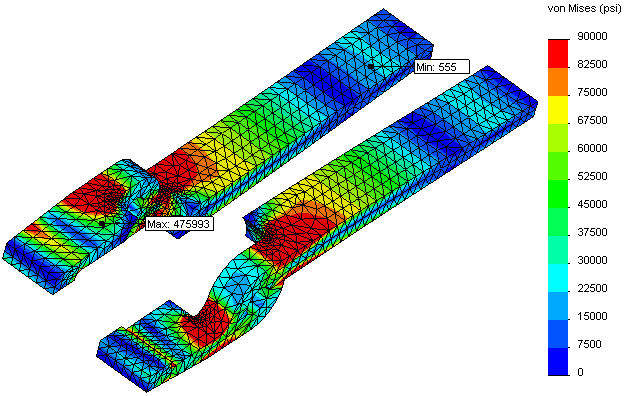 Linear Static analysis helps you to validate product performance and safety factors using finite element nalysis (FEA) to perform structural simulation. 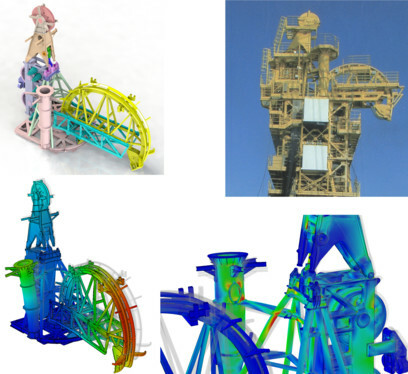 It is a primary tool to assess the displacement, strain and stress on parts and assemblies. You can perform analysis of solid bodies, sheet metal parts and weldments of long slender beams all in the same assembly. Time-based Motion allows you to evaluate the performance, using rigid body motion analysis, of assembly mechanisms, and can aid in the sizing of springs, dampers, motors and actuators. Motion automatically reuses the intelligence built into the assembly mates, and can be combined with defined 3D part contact, to accurately determine the physical movements of an assembly under load using a robust physics-based solver. 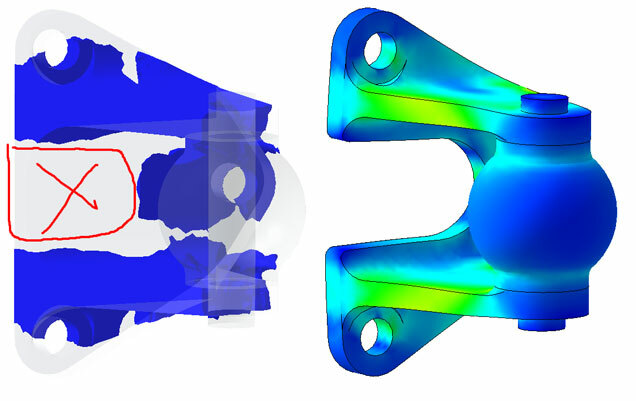 With the assembly motion calculated, the forces can be transferred directly into a structural analysis to assess the stress of a component due to the motion. Fatigue is the most common type of failure for materials, especially metals, accounting for about 50-90% of all failures and occurs in all industries. 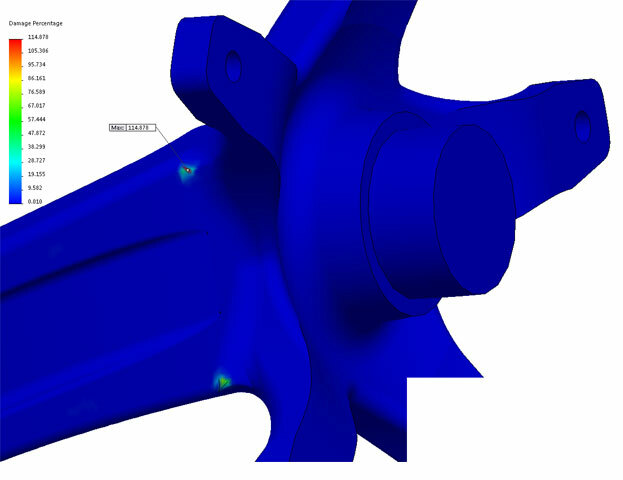 Fatigue analysis allows you to design for the durability of your parts for loads it will typically encounter over its life, rather than just for a large catastrophic load that rarely would occur in a worst case scenario. With this module you can examine two types of repeating loads, cyclic or random, for single or multiple events occurring over a large number (in the thousands or millions) of times over the life of the part. Using the material S-N curve, it computes the contribution of the events by using Miner’s rule (cyclic) or Rainflow counting (random) to report the total cumulative damage (as a percentage) that the design has undergone, and for a single event will report the predicted life. Trend Tracker is a very powerful design tools that lets you easily test many design ideas without being restricted to how the changes are made. Setting the baseline model starts tracking multiple design variables, such as mass and max stress, so that any design iterations are compared back to it and trends can be evaluated by viewing a design journal or trend graphs. When combined with a Design Insight plot, the Trend Tracker tool gives you another level of understanding of your design that intuition or experience cannot provide. That’s a lot of bang for your buck!